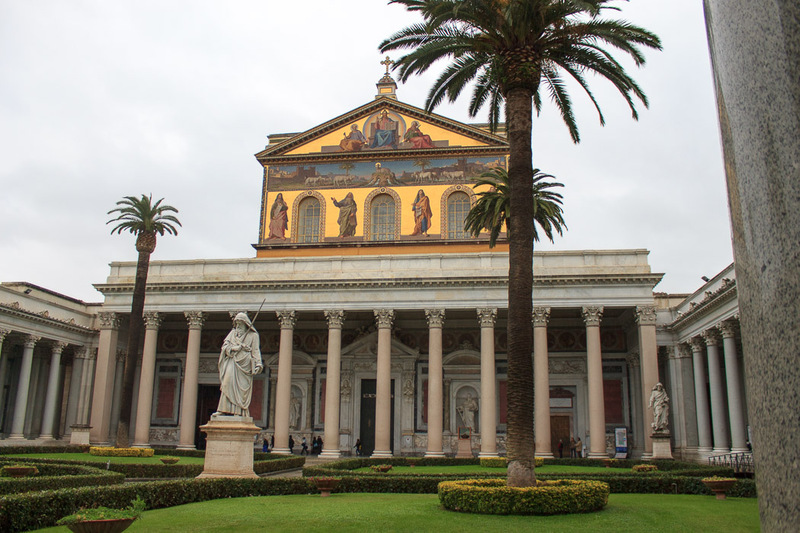 St. Paul's Outside the Walls (Basilica Papale di San Paolo fuori le Mura) is a huge basilica located very near the San Paolo metro stop on the blue line, 6 stops south from Termini. 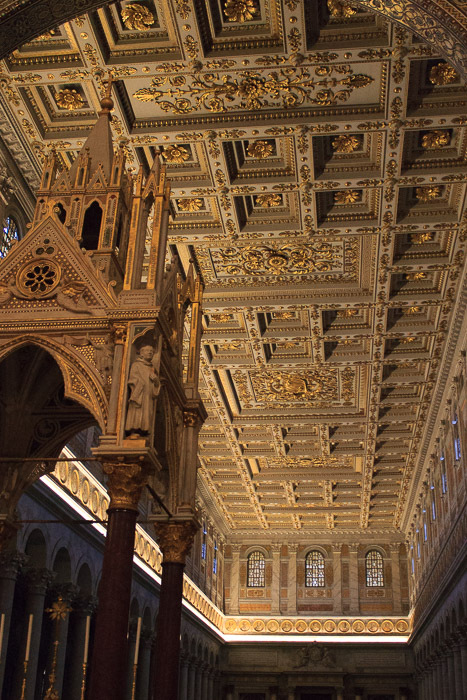 It is one of the four churches in Rome that are part of the Vatican, along with St. Peter's Basilica, Santa Maria Maggiore, and San Giovanni in Laterano. It was built in 380, destroyed in a fire in 1823 and rebuilt in the same general style and size. The church is built over the grave of St. Paul, the apostle of Jesus. 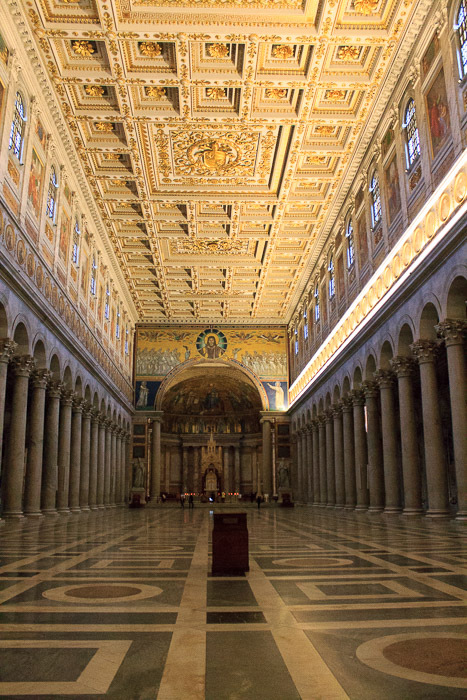 It's one of Rome's four ancient papal basilicas (with San Giovanni in Laterano, St. Peter's Basilica, and Santa Maria Maggiore, and is therefore part of the Vatican. 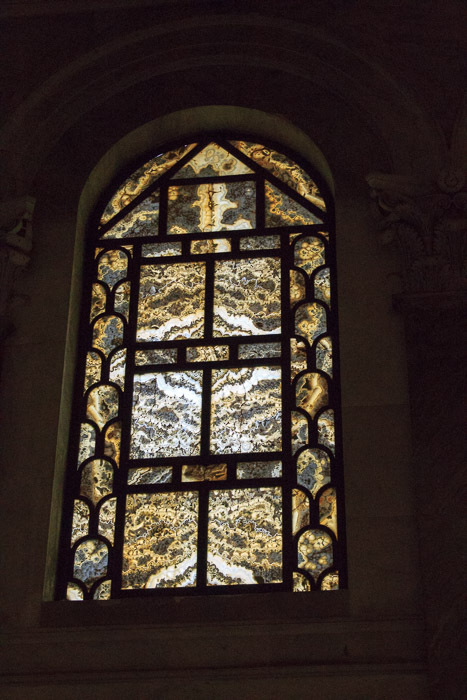 See all St. Paul's Outside the Walls photos. 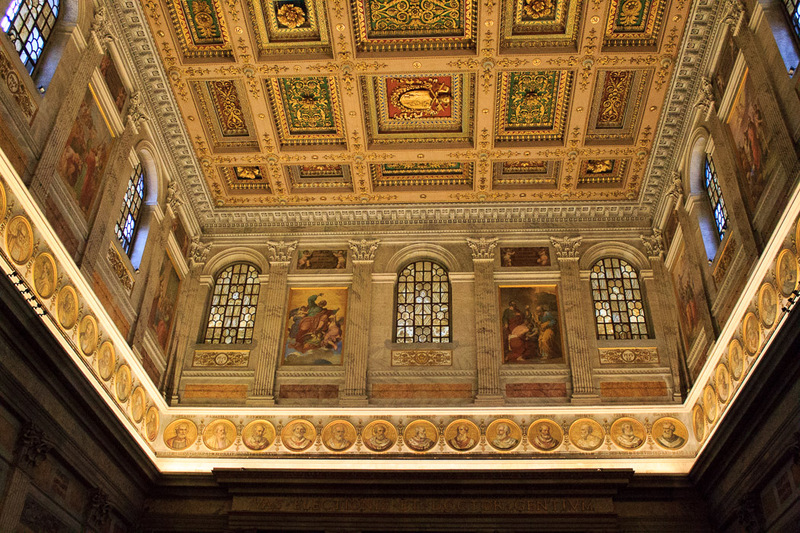 Along the bottom of the coffered ceiling, at the top of the walls, is a row of portraits of each pope. 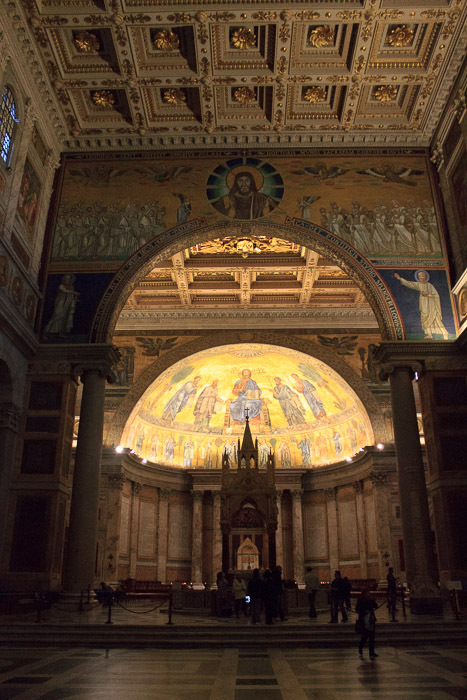 Between the nave and the altar stands an arch with a fifth-century mosaic of Jesus in the center surrounded by four evangelists and, in white, the 24 elders of the Apocalypse. At the bottom of the arch is St. Peter, on the right, and St. Paul on the left. They are the two apostles who came to Rome to spread the Gospel and ended up dying for it. Behind this arch, the apse mosaic from the year 1220 shows Jesus flanked by four apostles: Peter, Paul, Andrew and Luke. 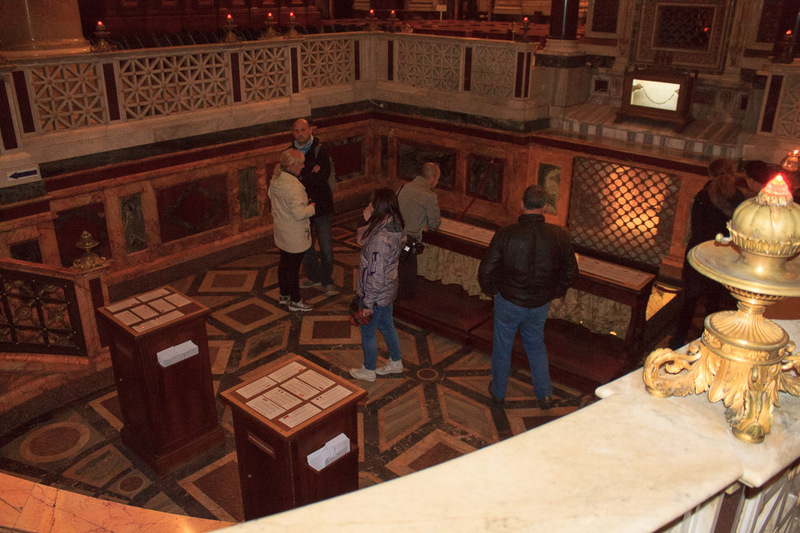 The stone coffin of St. Paul can be seen in a sunken chapel in front of the main altar. Arnolfo di Cambio's tabernacle stands above the altar. Alabaster windows run down the sides of the nave. The decorative facade is just inside a courtyard in front of the church.